Tartan is very fashionable and stylish, more designers are now using tartan in their designs more than ever before, tartan its self is a pattern consisting of criss-crossed horizontal and vertical bands in multiple colours, which is made from wool, but it’s now made from many different type of materials, tartan is heavily associated with Scotland and kilts, tartan is called plaid in America, in 1746 tartan was outlawed to bring warrior clans under government control, tartan is now the symbolic national dress of Scotland. a lot of people think each clan had its own tartan this is not the truth, the highlands tartan are really associated with regions and districts, tartan was produced by local weavers using natural dyes available in that area, the patterns were different, people chose what colours they wanted like people today when they go cloths shopping, it was not till the late 19th century that many patterns were created then associated with clans of the highlands. 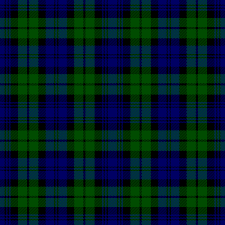 When Scottish regiments were formed in the British army they had their own tartan designed for them, each regiment like all British regiments had their own customs and certain dress uniforms, one of the most famous was the Black watch their tartan was also known as the black watch tartan, many men served in the Scottish regiment, in time these men left the army and some emigrated to places like Canada, Australia, America, even Europe, they took with them their tartan kilts, which would have been worn on remembrance days, very soon these tartans inspired many designers. The Black watch tartan is one of the most used by designers, it gets it name from the dark colours of the tartan, its consists of blue, black, green top check then a blue, black, green, black, blue under check, this allows the opposite blues to carry a different check, the effect is stunning but stylish, this is why I’ve chosen this tartan, you can get many stunning pieces in Black watch tartan. 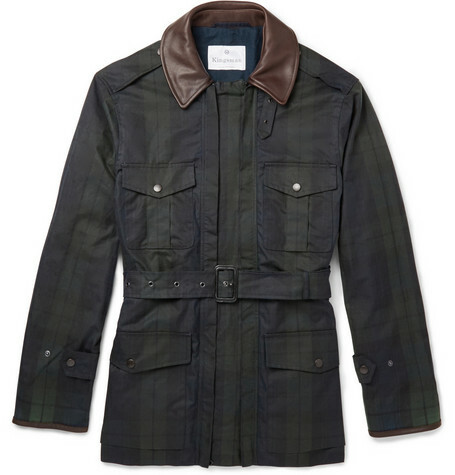 This stylish field jacket from Mackintosh in Black Watch tartan, is crafted in the UK from showerproof waxed cotton bolstered with supple oiled leather, this handsome tartan piece is practical and stylish, it’s a part of the Mr Porter Kingsmen collection, it would look great with roll-neck sweater and some brogue boots. 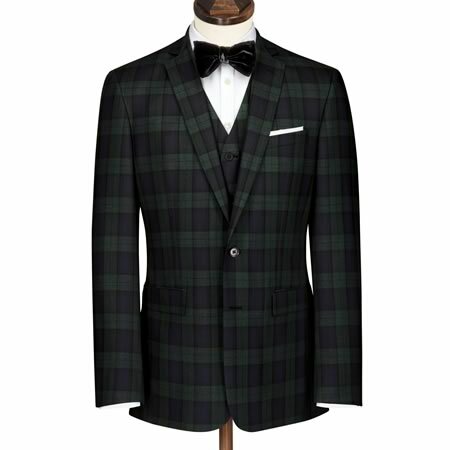 If your looking to make a statement in style, this 100% pure wool slim fit blazer, in classic Black Watch tartan, will see you turning heads, it comes with working cuffs, also a striking green lining, add some stunning charcoal flannel trousers and a pair of brown suede loafers for a stylish classic look. 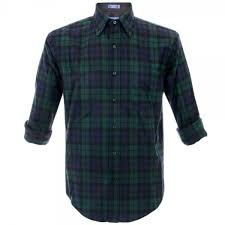 Now if your looking for a stylish but practical shirt this Black Watch 100% wool shirt is the ticket, it comes from the Pendleton Woolen Mills collection, with a stylish button down collar, and branded buttons in a tailored fit, add some Levi`s 501s for urban chic look. 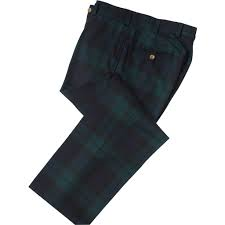 Scottish trousers or Trews as they are properly known, are simply tartan trousers in a tapered fit, these trews from Wingtip in Black Watch tartan are 100 % wool, they look great with a navy blazer and a nice white dress shirt. Tartan is very stylish for street style here we have a guy wearing some stylish Black Watch tartan trousers. 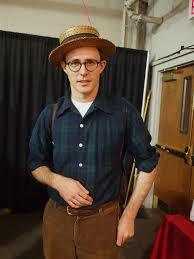 Black Watch tartan shirts are very chic and make a bold statement add some chinos for a stylish look. 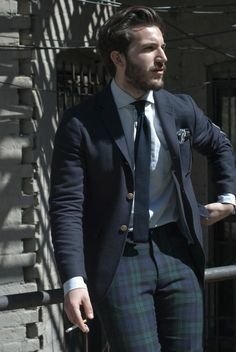 Black Watch wool suits are very chic go for a tailored fit to create a sartorial sharp look add a navy tie. So you can see having a little tartan in your wardrobe is stylish and very different, there are many different types of tartan to choose from, me I always go for Black Watch to me its more stylish and chic.